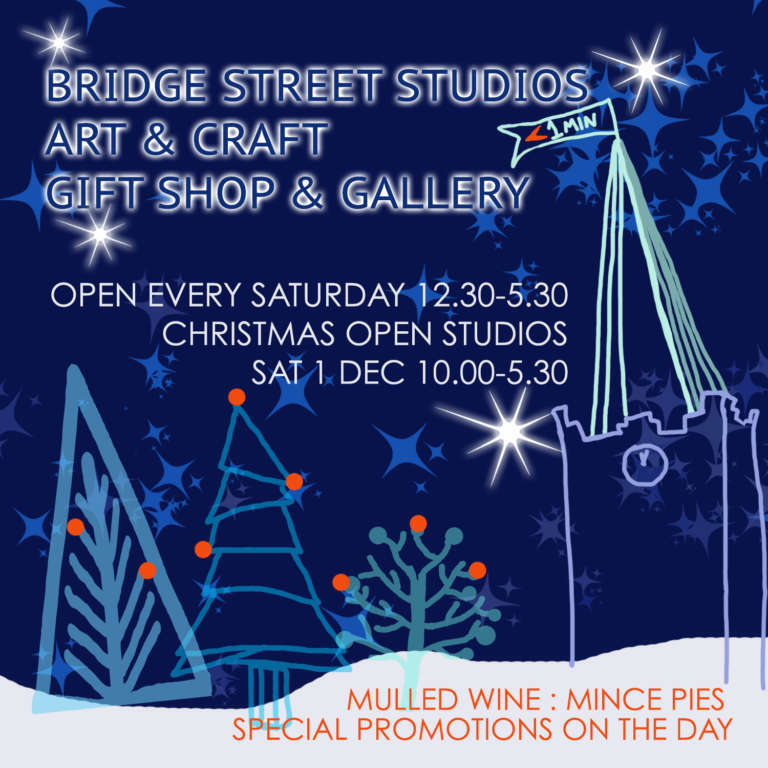 Bridge Street Studios invite you to kick off the Christmas season with a visit to our Studios, Gallery and Shop. Our Gallery & Shop is on the first floor of our centuries-old grain store and our workshops and studios are spread over the first, second and third floor. All the pieces in the gallery are made here in Bridge Street Studios. In the Gallery, you will find Art and Craft gifts to fulfil all your gift buying needs.